The 7th Annual Jamey Johnson Golf Tournament raised $421,500 for the Nikki Mitchell Foundation to help fight pancreatic cancer. 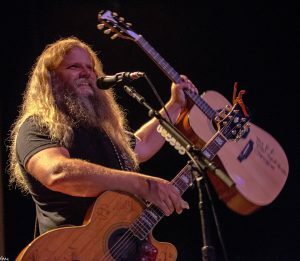 Montgomery native Jamey Johnson’s sixth annual Homecoming Golf Tournament and Concert, held at the Cottonwood Golf Club, raised more than $200,000 to help those battling pancreatic cancer through the Nikki Mitchell Foundation. The event also accepted donated toys for the Montgomery area Marine Toys for Tots. 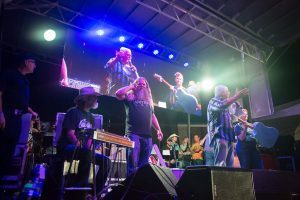 The event’s grand finale was an outdoor concert that featured Johnson as well as Donica Knight, Rob Hatch, Gina Gailey, Tony Joe White, Keith Gattis and Chris Hennessee. Gilbert Carrillo, Adam Carrillo, Tony Medellin and Tim Henderson from Nitro Oil were on the golf tournament’s winning team. 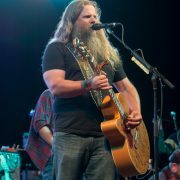 Nikki Mitchell Foundation (NMF) hosted Jamey Johnson’s fifth annual homecoming golf tournament and concert at the Cottonwood Golf Course in Montgomery, Ala., Oct. 9. Bringing some levity to an otherwise serious sport, the tournament featured activities such as shooting off a mattress, archery drives, shot carts and a ball launcher. 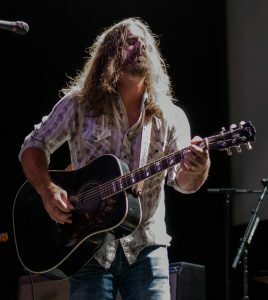 The all-day event featured celebrity guests and ended with heartfelt performances by Grammy-nominated country star Jamey Johnson, Alison Krauss, LeeAnn Womack, Randy Houser, Jerrod Neimann and other friends. 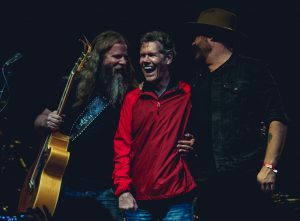 Country legend Randy Travis made an appearance on stage and stood beside Jamey as the latter sang Randy’s songs. 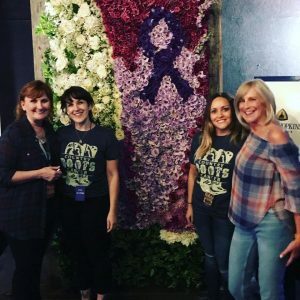 Nikki Mitchell Foundation is dedicated to seeking and supporting the most breakthrough data available for the early detection and cure of pancreatic cancer. Not tied to any one hospital, NMF supports the most promising research while maintaining a focus on awareness and patient support. NMF actively promotes a special emphasis on prevention and the patient’s’ preferences in determining their care. 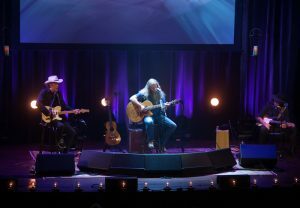 Nikki’s friends, Jamey Johnson, Bobby Bare, and Tony Joe White came together in a rare intimate setting, Sept. 21 at the Franklin Theatre, for a night of music, song, and stories.